We recently shifted into a new home. We’ve downsized; not too much, we still have three bedrooms and two bathrooms, but in the process we have lost an extra living room, an art studio and an office. My desktop computer is now stationed in one of the bedrooms and instead of a two-car garage we now have what was described by the seller’s agent as being a one-and-a-half car garage. I have seen a half-car; I recall a stunt on Candid Camera many years ago where they cut a Volkswagen in half and then filmed the reactions of passers-by. But half-cars never really caught on. To be fair the car does have to share the garage with the washing machine, dryer and washtub, a modern concept making dedicated laundry’s redundant. Like new cars, new homes have numerous neoteric advances that make life even more comfortable. I would list these as light switches that light up, smoke alarms in the kitchen that turn off all the kitchen appliances if smoke is detected, a carpeted garage and double glazing. None of the above featured in our previous houses and I’m amazed I managed to live without them for so long. But shifting house can be traumatic, particularly if you’re scaling down. There is so much decision-making in what to keep and what to discard. In the mix is furniture, clothing and a whole host of “things” you’ve hoarded over the years. Our offspring found room for the excess furniture which means I can on the odd occasion sit in my favourite chair and marvel over its comfort compared to the one I resolved to keep instead. Over our married life we’ve owned five homes, all of them fit-for-purpose for our circumstances at the time. Inevitably cupboards and attics got filled with consumer items we considered essential when purchased, but their indispensability waned quite quickly. In the shift we sent trailer-loads of these “hoardings” to the landfill, often in haste, and wondered if we weren’t a little impulsive in deciding what was important and what wasn’t. And so I was placated somewhat by Frank Trentmann’s recent book “Empire of Things” a masterpiece of research and story-telling, many years in the making, that records the epic history of the goods that have seduced, enriched and unsettled our lives over the past 600 years. 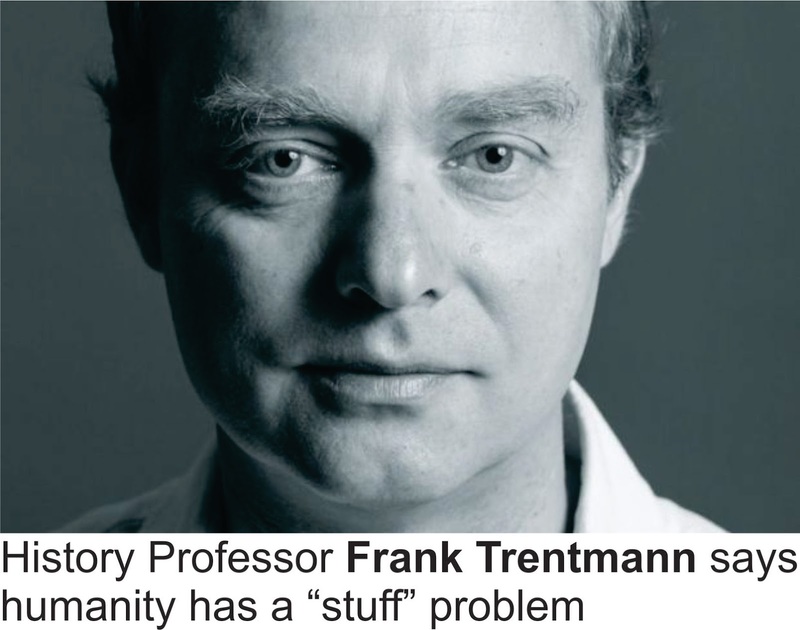 Trentmann, a professor of history at Birkbeck University of London, reckons humanity has a “stuff” problem. He writes even in frugal Germany the average person owns 10,000 objects and as an outcome our trash has clogged the oceans’ surfaces with 18,000 pieces of plastic per square kilometre. He suggests we can’t reverse course without acknowledging how emotionally attached we’ve become to our possessions. Six centuries ago the average person owned limited utilitarian goods, but now with the modern markets cheap prices and abundance of choice, more people can make personal statements about their identity through cars, clothes and kitchenware. To protect our planet and ourselves Trentmann concludes that we need to better appreciate the pleasures that come from a longer lasting connection to fewer things. By accident or design, that’s something I’m just beginning to comprehend.